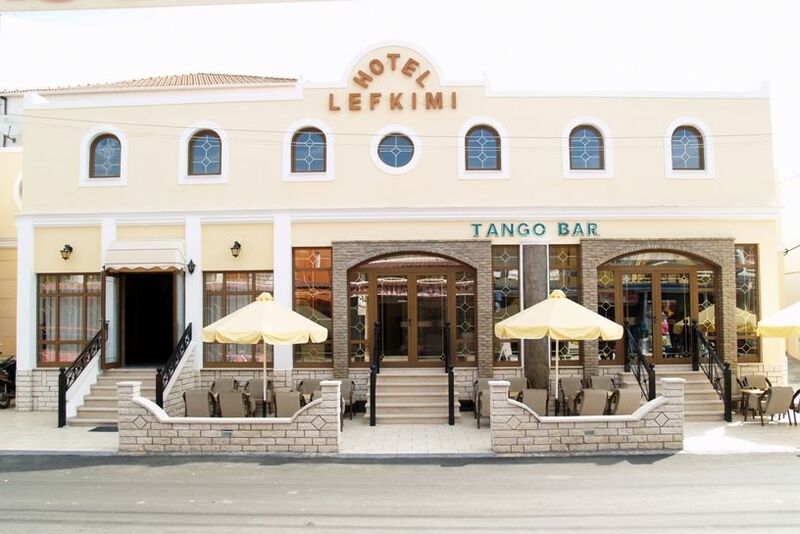 This charming hotel has a great position directly in the centre of the vibrant resort of Kavos surrounded by bars and clubs so can be noisy of a night. Thus, it is the ideal destination for all those seeking a vibrant nightlife experience. Its great location means that guests are close to all the local services and amenities, including the beach for those who like enjoying in the sun. 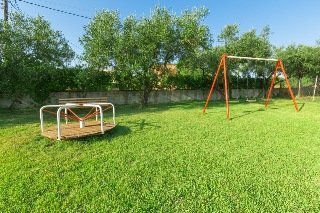 All the accommodation units are simply but comfortably appointed to provide a nice and pleasant stay to all its guests, whether travelling with the whole family, as a couple or alone. Guests will feel at easy at this accommodation, thanks to the cosy atmosphere that one can sense in its interiors. The property is a beautiful hotel and counts with its own bar and a nice outdoor swimming pool with a pool bar available to all guests for swimming and sun tuning. the Finata studios is a basic self catering 8-room complex only a stone throw from the sea. It is conveniently located at the beginning of Kavos, only a 2 minute walk from the non-stop action resort centre, lying within a beautiful olive grove, quiet and with an amazing view of the Ionian Sea. It is the ideal solution for groups of friends, families, or anyone seeking an independent escape. Our aim is to ensure that every aspect of your holiday is taken care of and every requirement is met, hoping it will be comfortable and unforgettable on the beautiful island of Corfu. As part of the Island Beach Resort, guests can enjoy all the facilities on offer there, free of charge. * Guests check in at the Island Beach Resort main reception. 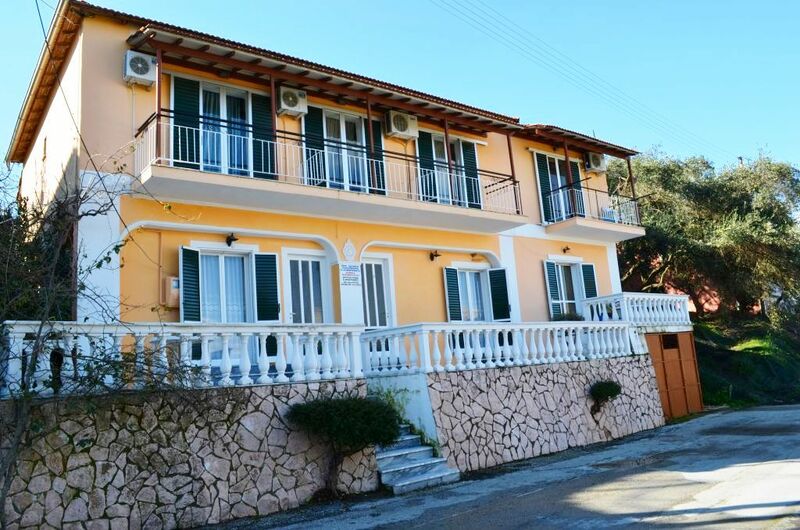 Property Desc:Property Location Located in Corfu, Roussos Studios is a 1-minute drive from Kavos Beach and 7 minutes from Lefkimmi Port. This hotel is 2.6 mi (4.2 km) from Arkoudilas Beach and 12 mi (19.4 km) from Boukari Beach.Rooms Make yourself at home in one of the 30 air-conditioned rooms featuring kitchenettes with refrigerators and stovetops. Rooms have private balconies. Complimentary wireless Internet access is available to keep you connected.Amenities Enjoy recreation amenities such as a seasonal outdoor pool or take in the view from a garden. Additional amenities at this hotel include complimentary wireless Internet access, concierge services, and a television in a common area.Dining Quench your thirst with your favorite drink at the bar/lounge.Business, Other Amenities Featured amenities include a safe deposit box at the front desk and coffee/tea in a common area. Free self parking is available onsite.Room Info:Know Before You Go Cash transactions at this property cannot exceed EUR 500, due to national regulations. For further details, please contact the property using information in the booking confirmation. No pets and no service animals are allowed at this property. Fees The following fees and deposits are charged by the property at time of service, check-in, or check-out. Air conditioning fee: EUR 5 per day In-room safe fee: EUR 1 per day The above list may not be comprehensive. Fees and deposits may not include tax and are subject to change. Mandatory Fees and Taxes You`ll be asked to pay the following charges at the property: Tourism fee: EUR 1.50 per accommodation, per night We have included all charges provided to us by the property. 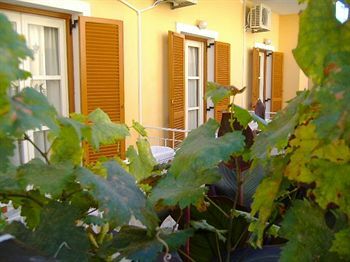 Having served in the hospitality business since 1979, this simple and pleasant complex is surrounded by olive trees and other vegetation all the way to the sea shore which is just a stone's throw away on Corfu's south eastern coast, in the district of St Peter's, close to Kavos. The port of Lefkimmi is approximately 3 km with ferry boat services across to the Greek mainland. 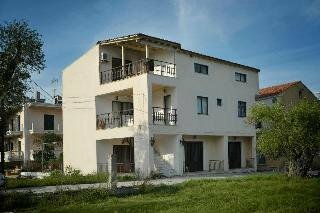 In the immediate vicinity of the property, guests can find a supermarket and bus stop with services to Corfu town. In an ideal location for guests wishing to combine a peaceful stay with ease of access to the lively resort of Kavos, the aparthotel provides a good base from which to enjoy all this island has to offer as well as a sizeable garden with swimming pool for chilled out days enjoying a refreshing drink from the pool bar. Page rendered in 0.5781 seconds using 2.35 MB (6 MB) of memory.